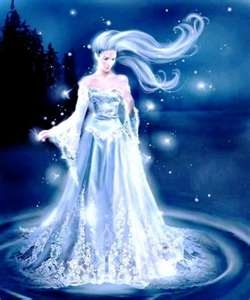 My name is Maria and I have been a working Psychic for over 25 years. My Psychic abilities and my Tarot card reading gift work hand in hand to give clarity of mind and direction. I have a wealth of knowledge regarding the art of divination and as well as the Tarot I read Runes and do Numerology and Astrology. I specialise in many fields such as matters of the heart and general day to day issues such as employment, general relationships and anything that presents its self as a problem. This is where my Psychic abilities prove to be intuitive and enlightening. When using the Tarot I have many different types of cards, for matters of the heart I use my Mystic and Gypsy cards, I also have a very special set of Psychic cards that prove very intuitive and helpful when looking for answers related to the heart. For everyday problems I use my Indian Tarot cards I can offer you many different kinds of readings such as the 3/5/9 card spread, the horseshoe, the triangular, the Celtic cross and the mirror card spread. If you have a particular favourite spread that you would like me to use please ask, I will also be more than happy to give you guidance on your choice if required. Thank you. I am very typical of my sign, I'm adventurous and energetic, courageous, enthusiastic and confident. I am caring and quick-witted as well as a good sense of humour. In my teens my mother and grandmother were Psychics so the gift was inherited so it would be fair to say I'm a true Psychic reader. Helping a lady through a tough, unbearable time in her life when her partner had left her for someone else, I was able to make her see that her life was worth something and things would get better in time. She wrote to me some time later and told me what a great help I'd been to her and how happy she was. She said you told me what was happening in the cards which were always intuitive and enlightening. I am a Psychic and Tarot reader, I have many qualifications from the British School of Yoga and the Psychic Foundation for Tarot and Cartomancy. Consider if you're mentally prepared to hear the truth and not what you want to hear and to make sure they have all the questions they want answered prepared. Thank you for such an honest and fab reading. I like everything i hear about this man and i can't wait for things to unfold even though im patient. Thank you for a spot on reading as always, sorry got cut off and didn't get to say thank you. Thank you for your guidance as always. Thank you for always giving such clear readings and guiding me. Always love our chats. Such an amazing reader and kind lady. Sorry we got cut off. Another great reading from a lovely lady. Thank you. Maria! Miss our regular chats, and you are one of the best. Please come back soon!